Hawaiian plants (indigenous and Polynesian-introduced) are a foundation of Hawai‘i’s diverse ecosystems, culture, and traditions, and provide our islands with significant educational, scientific, and socioeconomic benefits. The majority of Hawaiian plant species are found nowhere else in the world. Historically, each island, moku, and ahupua‘a supported varied and diverse Hawaiian plant life; however, Hawaiian plants have been replaced, displaced, or otherwise forgotten from many areas where they formerly thrived, with hundreds of species now on the verge of extinction. In order to support the preservation of Hawai‘i’s cultural and ecological heritage, the 2015 State Legislature passed an OHA-introduced bill requiring the use of Hawaiian plants in publicly-funded landscaping, beginning in 2019. Act 233 (2015) goes into effect on June 30, 2016. A two-sided poster originally produced by the Landscape Industry Council of Hawai‘i and the Hawai‘i Department of Agriculture highlights just some of the many Hawaiian plants that may be appropriate for landscaping, along with a brief introduction to their uses, planting techniques, and cultural significance. Download OHA Native Plant Poster – PDF format. 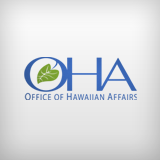 As part of OHA’s continuing efforts to support the preservation of Hawai‘i’s cultural and ecological heritage, OHA is offering training sessions for state and county employees who select, install, and/or maintain plants for public landscaping projects. These training sessions will cover how to best select, install, and maintain Hawaiian plants, as well as the cultural and ecological significance of many Hawaiian plant species.